A lightweight, one line setup, iOS / OSX network debugging library! Do you use netfox? Leave a review! to prevent librarys execution on your production app. 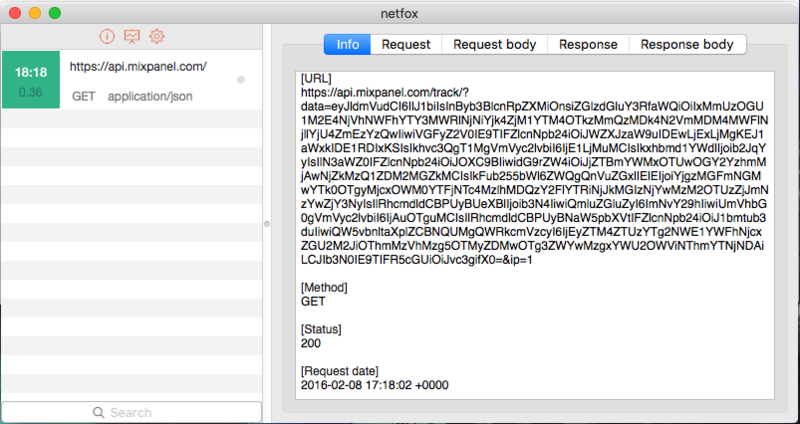 almost 3 years UIWebView does not behave as expected when netfox is enabled. FIX: Fix crasher found via Crashlytics. Keep up with changes to netfox! Would you tell us more about netfox?